Paul is an expert in the automation and optimisation of complex business operations. He combines a comprehensive knowledge of technology, a relentless desire to simplify the complex, and a deep understanding of how people and systems interact; to ensure his customers make effective, enduring improvements to their business. Led a start-up through four years of rapid growth, successfully navigating a pivot from enterprise software to a software-as-a-service and business process outsourcing operating model. Prior to joining Nous Paul was chief executive officer of Biarri Networks, leading it from start-up through four years of national and international growth in the telecommunications sector. Before Biarri Paul held several product management roles at Boeing, delivering planning and operational software to the aviation and rail industries. 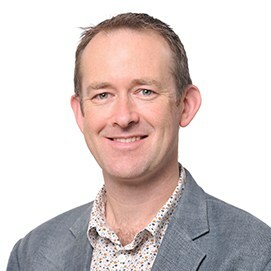 Paul holds a Master of Business Administration from the University of New South Wales, and a Master of Arts and a Bachelor of Science from The University of Melbourne. Paul spends his spare time outdoors, kayaking with his three teenagers, bushwalking with his wife, or managing his garden. To relax, he is a Scout leader mentoring 11-14-year-olds.